. Published on June 10, 2018 . Becoming an EY finalist is extremely difficult – but to actually win is an incredible achievement! After months of filmed and in-person interviews, financial audits and reviews, extensive essays, and executive reports, Jeff and Cariloha beat out hundreds of applicants and finalists to win the prestigious Entrepreneur Of The Year award! Jeff won the award for Del Sol approximately 10 years ago, and now he’s won it a second time – one of the few in the nation to have won it twice for two separate companies. It’s a testament to how truly amazing our companies are. Congratulations to our Owner and CEO, Jeff Pedersen, and to each of you for making our companies great! 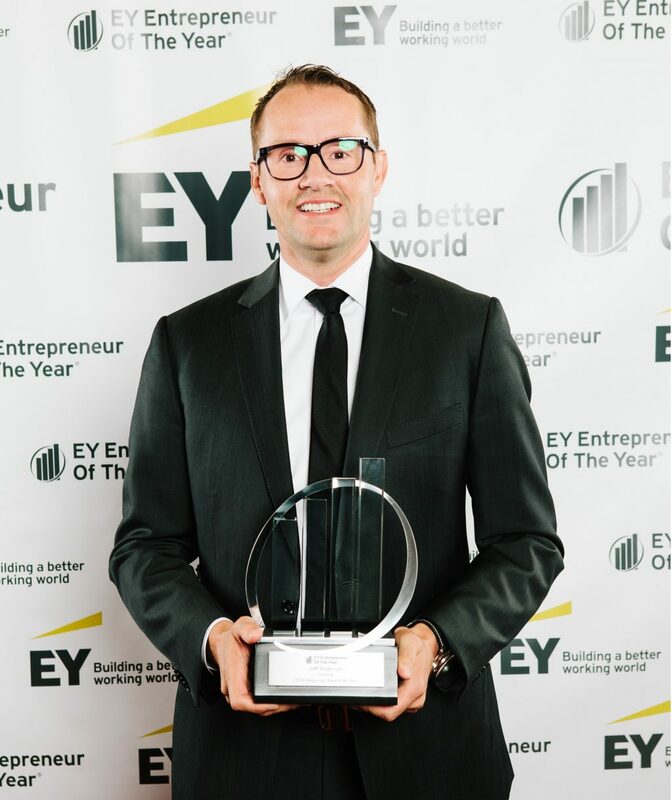 EY is pleased to announce the winners of the Entrepreneur Of The Year 2018 Utah Region Awards. As the world’s most prestigious business awards program for entrepreneurs, Entrepreneur Of The Year recognizes business leaders who are excelling in areas such as innovation, financial performance and personal commitment to their businesses and communities. The entrepreneurs noted below were selected by a panel of independent judges and revealed at a special black tie Awards gala on Saturday, June 2, 2018, at The Grand America Hotel in Salt Lake City. EY has recognized more than 10,000 business leaders around the world, since the inception of the program more than 30 years ago. Past winners have disrupted industries, created new product categories, and successfully brought new innovation and technology to traditional industries. The program has honored the inspirational leadership of such entrepreneurs as Howard Schultz of Starbucks Coffee Company, John Mackey of Whole Foods Market, Pierre Omidyar of eBay, Inc., Reid Hoffman and Jeff Weiner of LinkedIn and Mindy Grossman of HSN. Now in its 32nd year, the Entrepreneur Of The Year program has expanded to recognize business leaders in more than 145 cities and more than 60 countries throughout the world. 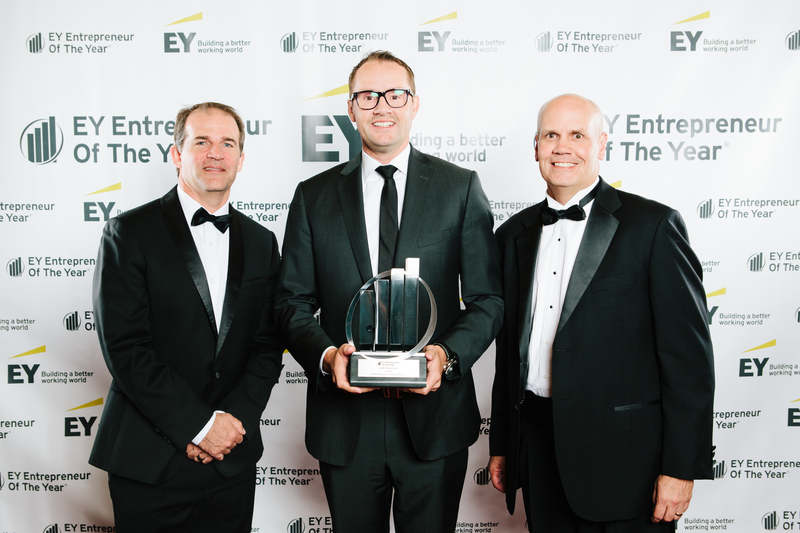 To learn more about the Utah program, please visit www.ey.com/us/eoy/utah_region. Join us in congratulating this year’s winners on social media by following us @EY_EOYUS and using #EOYSLC. Regional award winners are eligible for consideration for the Entrepreneur Of The Year National Awards. Award winners in several national categories, as well as the Entrepreneur Of The Year National Overall Award winner, will be announced at the Entrepreneur Of The Year National Awards gala in Palm Springs, California, on November 10, 2018. The awards are the culminating event of the Strategic Growth Forum®, the nation’s most prestigious gathering of high-growth, market-leading companies. The Entrepreneur Of The Year National Overall Award winner then moves on to compete for the EY World Entrepreneur Of The Year™ Award in Monaco in June 2019. In the Utah Region, local sponsors include CAPTRUST, Corporate Alliance, Digital Bytes Production & Design, Diversified Insurance Group, Silicon Slopes, Strong & Hanni Law Firm, The Community Foundation of Utah, The Summit Group and Utah Business.